We woke up today to have this Red glow coming through the windows, it was very strange like something out of a movie. 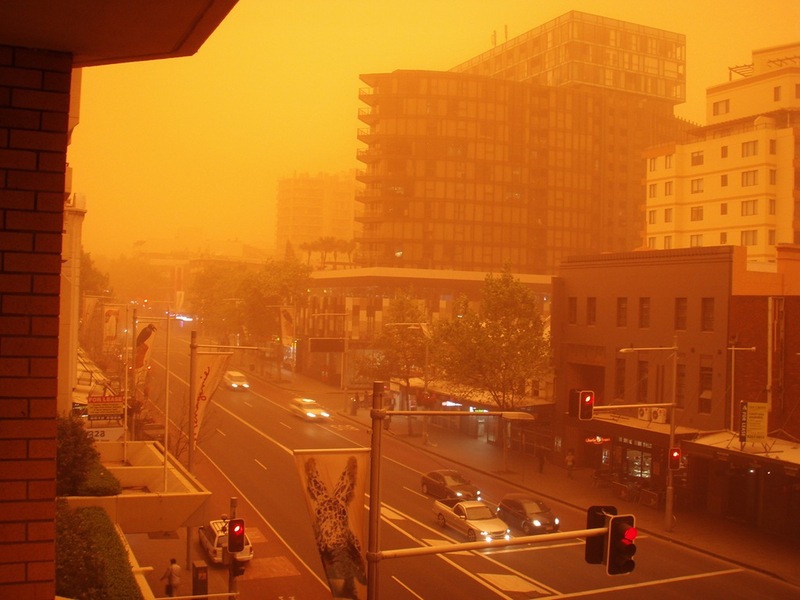 We turned on the TV to see the news to find out what’s happening and they said it was Red dust blown all the way down from the NT thousands of miles away. 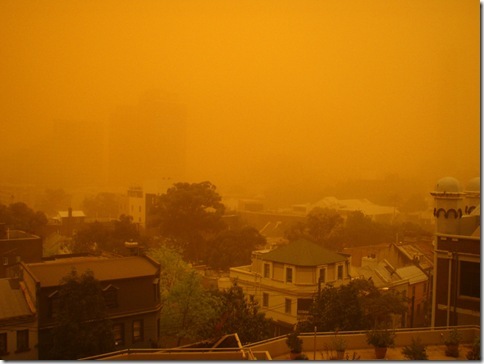 There is thin layer of dust on everything from cars to pavements. Even indoors we could taste it a little in our mouths and our noses. It’s now 11am and its cleared by about half and I can now just about see the buildings in the distance on the harbours edge through the Red fog. Very strange, Sanna said she’s never seen it before. 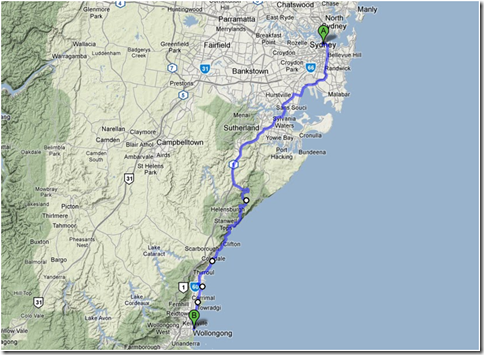 I am riding the Sydney to Wollongong ride again this year along with some friends and this year Sanna too. 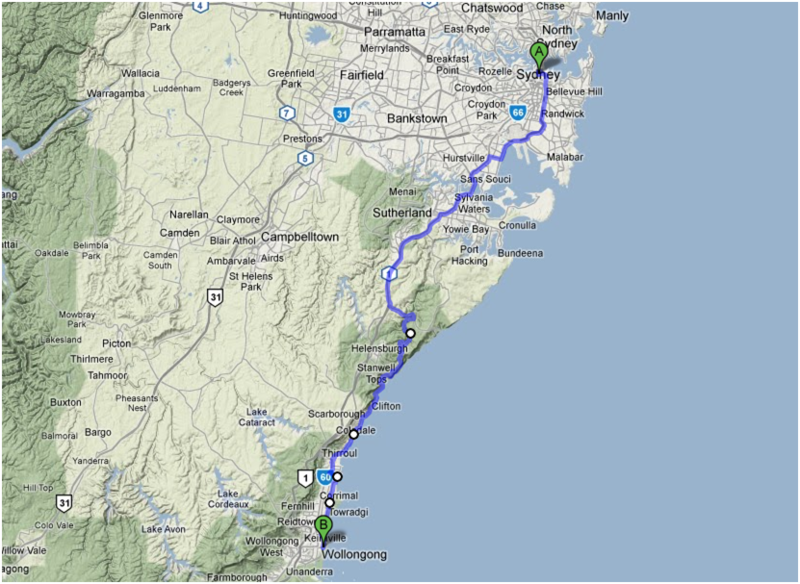 Please help sponsor me for just $20 each to help me reach my $200 target for charity!! 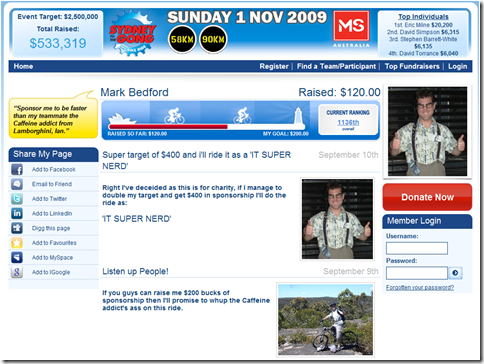 Click the page below to go to my donations site and you can see how I am doing to reach my target. The course is 90km in total and after you leave the flat parts of Sydney city you get out into the countryside and there are some good sized hills to get up and down. 10,000 people are taking part in the event this year starting at 6am on the morning of the 1st of November, its a great event to take part in.